The creations that LEGO artists make can be very diverse and original. Each builder has his or her own way of assembling the bricks to make unique creations, which are diverse as the builders themselves. 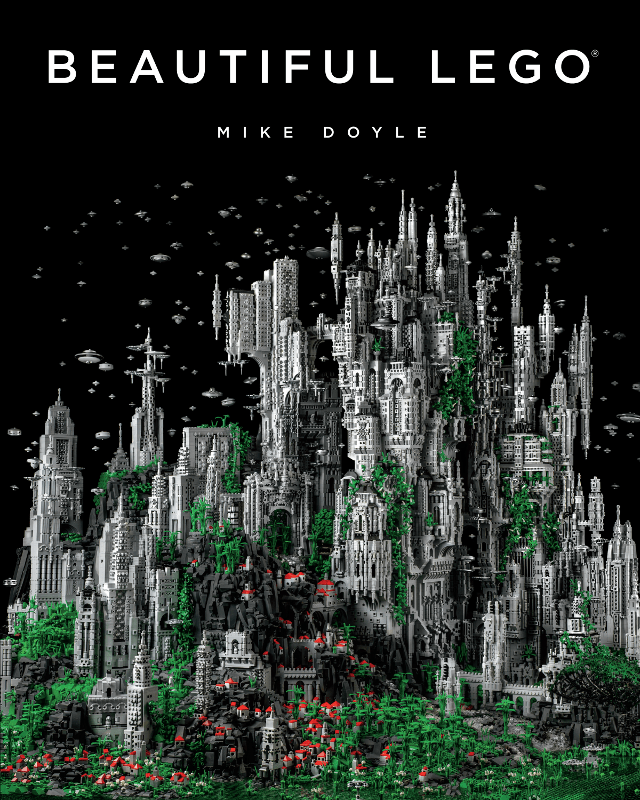 Mike Doyle examined many of the different LEGO sculptures out there and compiled what he deemed the most artistic in the book Beautiful LEGO. While many people create interactive and industrial designs in their creations, Mike Doyle focused on those he found to be most aesthetically pleasing. While not to say that they do not have their own unique cosmetic appeal, it isn’t the focus of what he chose to capture. Each of the models in the book are cosmetically appealing focusing on a theme or builder. Each of the models in the book are arranged thematically to show different related building types (like micro objects and mosaics) or a specific builder who had a particular thematic work or technique that runs through their work (like Angus MacLane’s CubeDudes and Arthur Guglick’s architecture buildings). For the builder chapters, there’s a one page interview or piece written by the builder to give a background about their history and how they build, which gives a deeper understanding of the individual, but the pages are few and far between, not giving much depth to the knowledge of actual LEGO building or how some of the more interesting pieces were built. The photography in Beautiful LEGO is exemplary. It makes me wonder who took the pictures, since there are no photo credits. Did the builders themselves take the pictures or did Doyle? Were the pieces sent to Doyle to photograph or just the images, which he retouched (as credited in the book). Regardless, all of the models look fantastic and really show off the artistry of the builders. As an AFOL, I always love looking at the work of my contemporaries. Mike Doyle features LEGO builders from all over the world in Beautiful LEGO, showing off some of their amazing builds, some of which I have seen in person before. The pictures really capture the essence of the building and is really inspiring to look at and can give some potential ideas to other builders of all ages by seeing what other people are doing with LEGO.